The Queen's House has re-opened to visitors after over a year of extensive refurbishment. The venue celebrated its 400th anniversary this year with a major new art display. This exciting project has given Royal Museums Greenwich the opportunity to celebrate this internationally and historically important building for its quadricentennial. It has also enabled the House, in its modern role as the Museum’s prime fine-art venue, to showcase the National Maritime Museum’s outstanding art collection. The venue now includes a new addition to its stunning artwork. At the end of February 2016, Turner Prize winner Richard Wright started on a new artwork for the Queen’s House, now complete. Amazingly, this is the first time an artist has worked on the ceiling of the Great Hall since Orazio Gentileschi created a series of nine paintings in 1639! 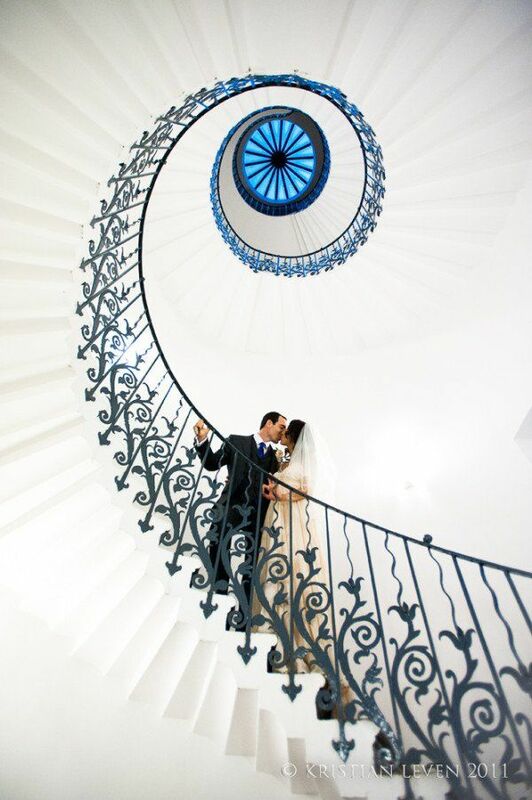 The Queen’s House is stylish, iconic and totally unique, making it a great choice for weddings. From drinks on the lawns with sweeping park views, to unforgettable ceremonies and dinners in the boutique South Parlours or striking Great Hall, to dancing into the night in the atmospheric stone-arched Undercroft, the Queen’s House is a very special place to celebrate. Talk to our wedding creators for more information and wedding planning inspiration.